Dynamic, multidisciplinary, and global in scope, media literacy is one of today’s fastest growing fields of applied communications. Media literacy encompasses a truly vast range of issues, including participatory culture, digital learning, civic engagement, the impact of media on children, the sociocultural and political dimensions of literacy education, the role of media in shaping social identity, activism, digital teaching and learning, the role of media in shaping health behavior, the impact of news on society, and adolescent development, to name just a few. The first of its kind in ambition and scope, The International Encyclopedia of Media Literacy provides global coverage of this dynamic and swiftly moving topic. 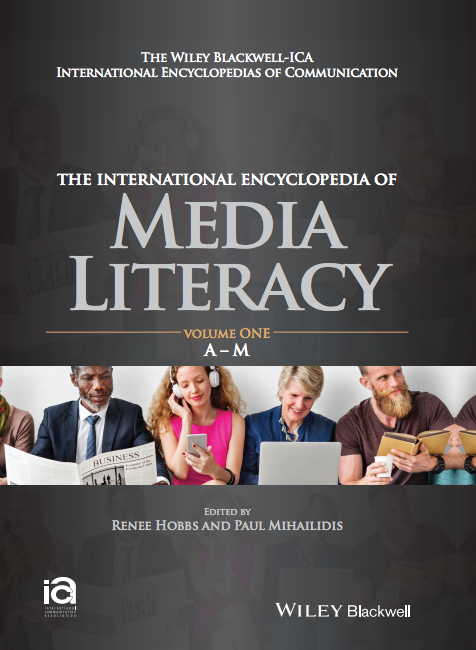 As wide ranging and inclusive as the subject it treats, this two-volume encyclopedia offers a perspective on the past, present and future of media literacy around the world.